Proudly Serving Calgary and Southern Alberta for Over 30 Years! Need help gauging your current fire protection needs? Is fire protection part of your office or home’s safety plan? 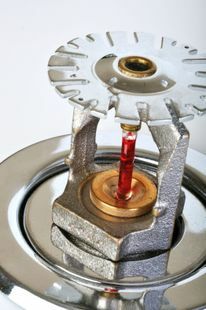 From design and installation, through service and maintenance, Constant Fire Protection Systems Ltd serves the fire suppression needs of residential and commercial customers throughout the Calgary area. With a team of more than 50 sprinkler fitters and journeyman technicians with provincial and national certifications, Constant Fire Protection Systems Ltd has outfitted some of Calgary’s largest structures and high rises with state-of-the-art fire suppression technologies. Following your installation, we will be there to test, inspect, maintain and service your system. We are available 24 hours a day, 7 days a week to provide emergency response services. To speak with a system specialist and receive a quote for your home or business, call Constant Fire Protection Systems Ltd, today!